It’s the beginning of the Work & Travel USA winter season and thousands of participants from South America are arriving in the United States to embark on their American journeys. InterExchange participants from Argentina, Brazil, Chile, Costa Rica, Paraguay and Peru are anxious to learn about American culture, practice their English and share their own culture with their local communities in the U.S.! I meet a lot of our participants at InterExchange arrival orientations in New York City and I’ve learned that for most of them this is their first time traveling abroad, living in a foreign country and away from their families. It’s not at all surprising to me that local communities in the United States become an ‘American family’ and a ‘home away from home’ for all the J-1 exchange students. As a host community, how do you create a friendly and welcoming environment for your international guests? Here are a few examples of J-1 welcome events that were hosted by American communities in Park City, Lake Tahoe, and Wisconsin Dells. 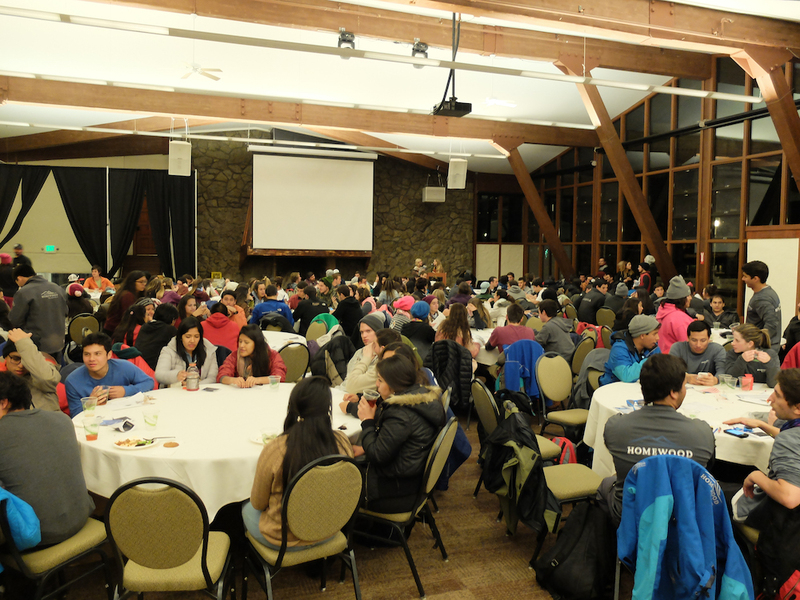 The annual Welcome Night in Park City, UT was held at the Park City Marriott hotel and was attended by hundreds of J-1 Visa exchange students, their sponsoring agencies, and local community members. The special moment of the night was a welcome from Robin Lerner, Deputy Assistant Secretary at the U.S. Department of State. The local community in Lake Tahoe, CA hosted two welcome event evenings for international guests. More than 300 exchange students got to meet their American hosts and J-1 Visa Sponsors, along with local agencies including the Sheriff's Office, The League to Save Lake Tahoe, and Wells Fargo Bank. While mingling over dinner, students discussed culture shock, local housing, and cultural activities that are available to them in the area. Participants in Wisconsin Dells, WI got to enjoy a J-1 Welcome Holiday Party where they designed their own Christmas ornaments and made some delicious gingerbread houses! InterExchange representatives were excited to welcome hundreds of exchange participants at these welcome events and wish them a successful and exciting cultural experience in the United States!